The low height of both versions of the phone has been activated ..
Myanmar Samsung Font update to the bow. 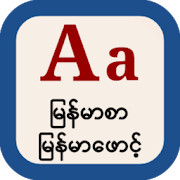 Phone version for low height versions already installed (iFont) phones (Zawgyi) input device. His phone will not bite and you can use it to select the font. Get the download link below, the file size is 2MB.